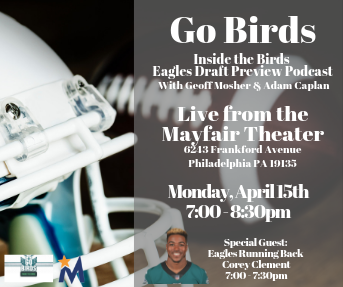 Be a part of the live recording of the Go Birds “Inside the Birds” Eagles Draft Preview on Monday, April 15th from 7:00-8:30pm at the new Mayfair Theater located at 6243 Frankford Avenue in the heart of NE Philly. 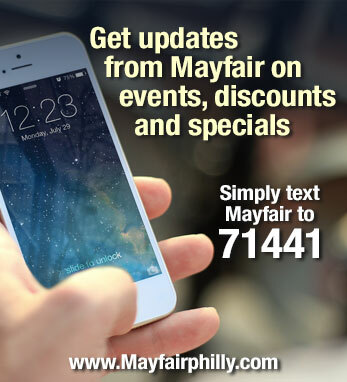 Join hosts long-time Eagles reporter Geoff Mosher and ESPN’s Adam Caplan as they breakdown the NFL draft and the Eagles picks. 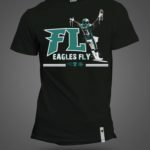 Meet and get autographs with Eagles Running Back, Corey Clement 7:00 – 7:30pm! !